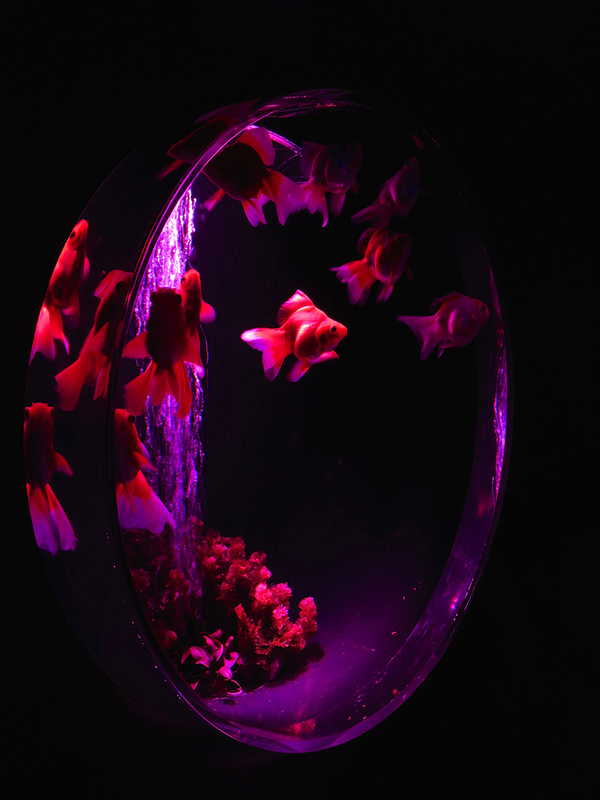 Part laser light show, part aquatic extravaganza, Art Aquarium is the newest take on the old idea of keeping cool during the steamy Japanese summertime by contemplating goldfish bowls. 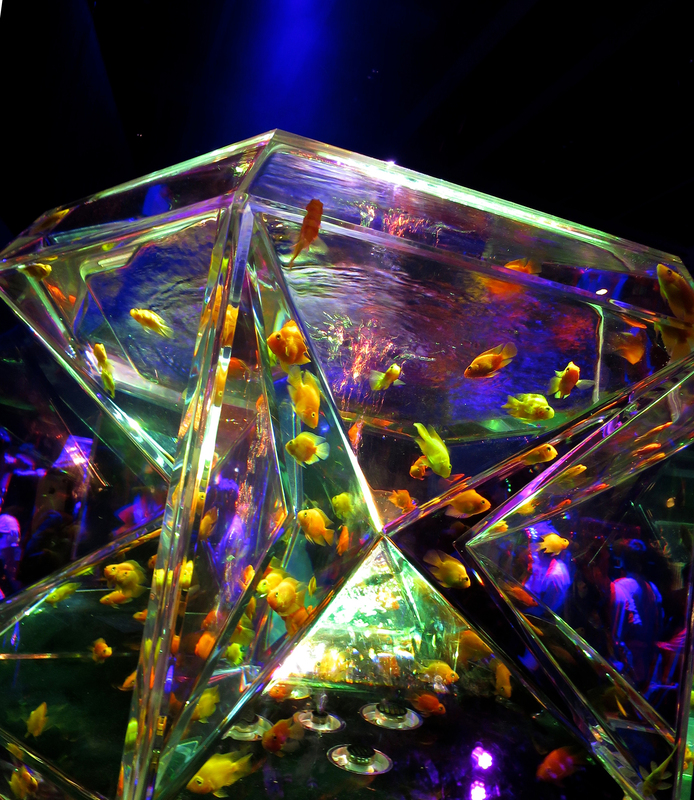 Over 3 million people have visited this summer-long exhibition since it started in 2008, and now I see why: giant artfully-designed aquariums use inset lenses, unusual faceted angles and ever-changing choreographed spotlights to turn tens of thousands of goldfish into living art. 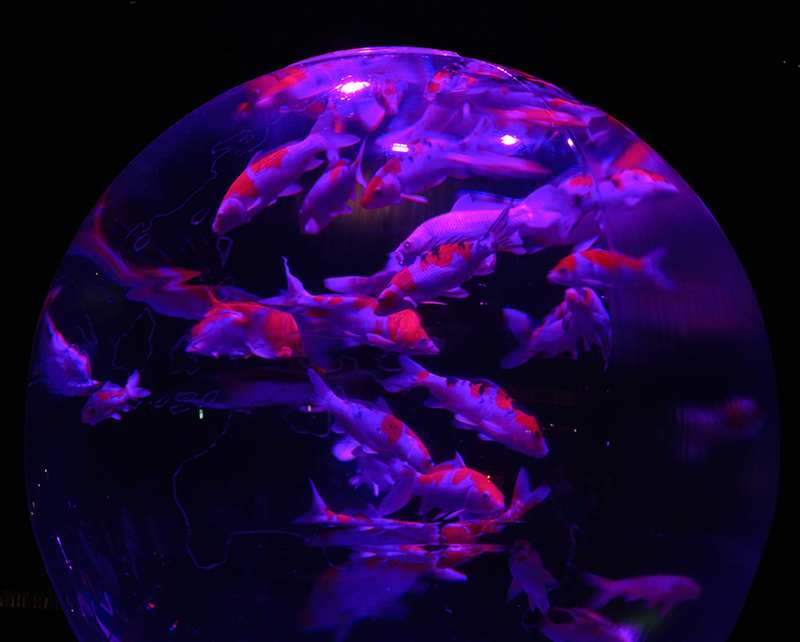 Set in a dark gallery, the “goldfish bowls” glow like jewels, the fish inside mesmerizing visitors like a living kaleidoscope. 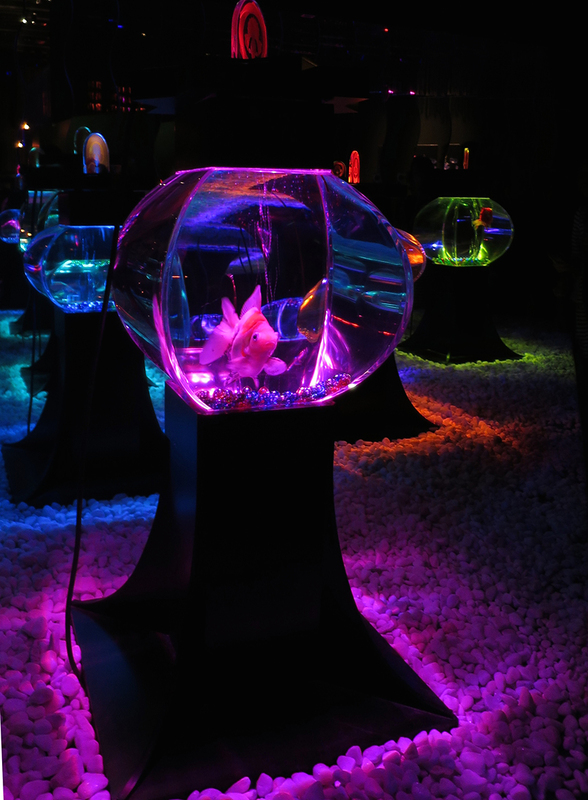 Unusual hybrids have their own room, with perfect specimens of each variety showcased in lozenges of colored light. 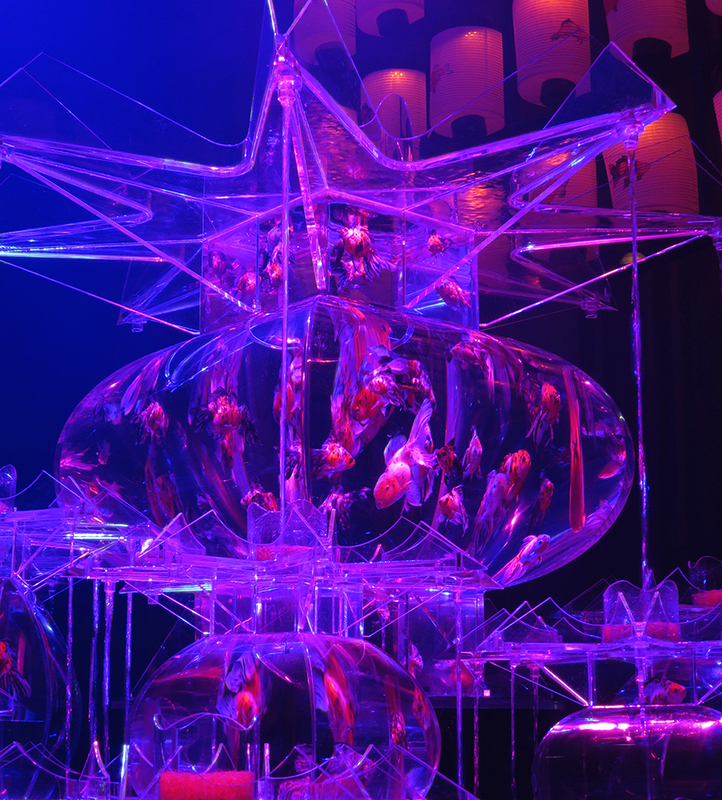 This year, then Nihonbashi Art Aquarium runs from July 11 – September 23, but every year it returns from mid-July to the end of September. 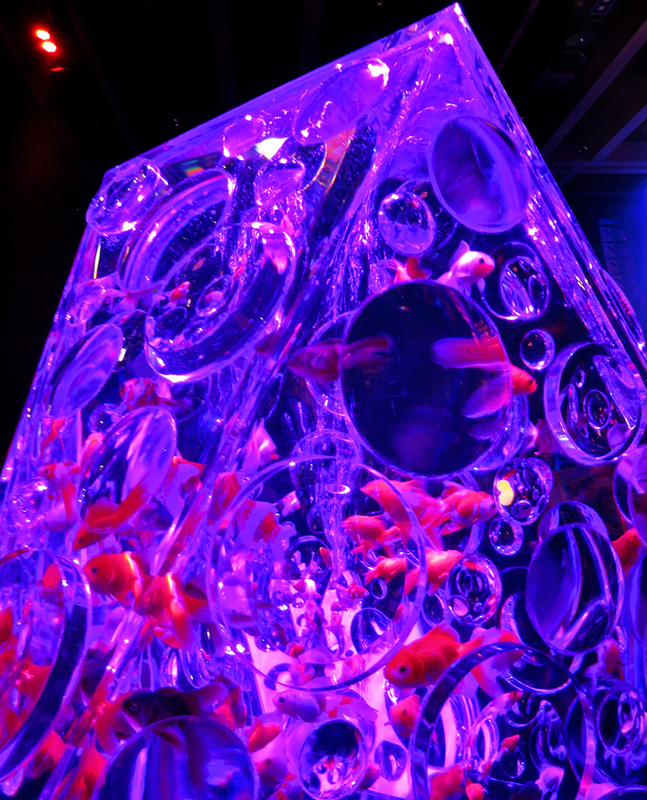 The only difference between the daytime hours and “Night Aquarium” is that they sell drinks and have DJed music playing at night. 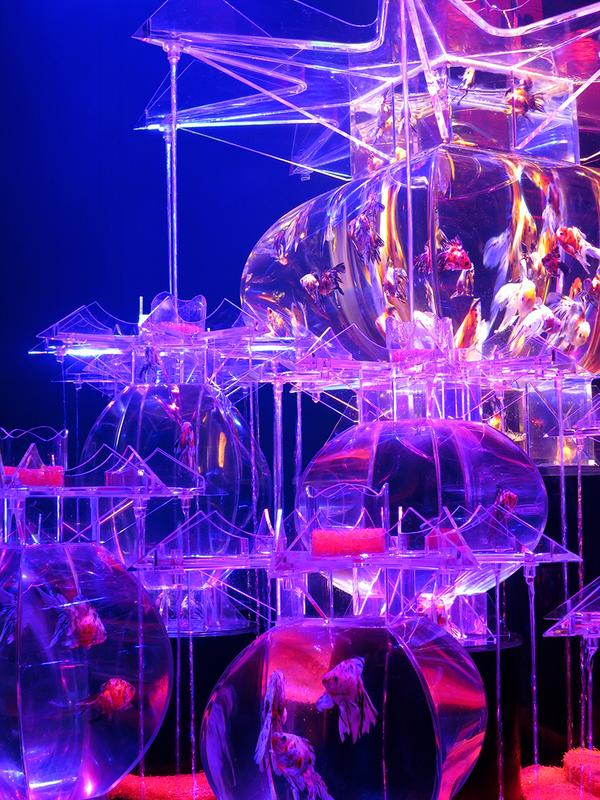 The Art Aquarium official website is all in Japanese, but you can find directions & a map on my website, The Tokyo Guide I Wish I’d Had. Note: Some people object to living creatures being exhibited like this, but aside from the changing lighting, the conditions seemed better than in some aquariums I have visited, and certainly many pet stores. 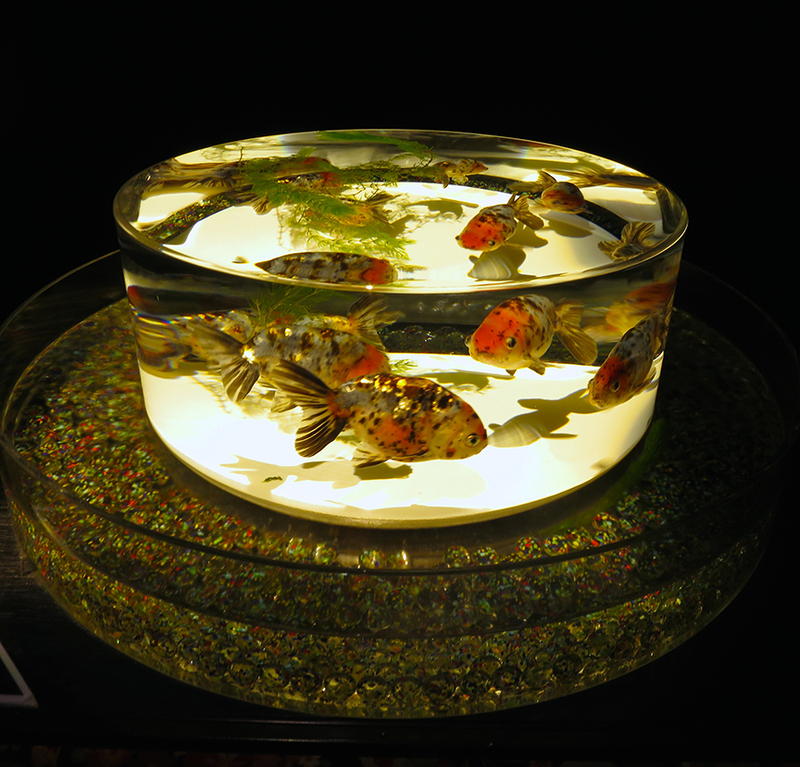 The aquariums were sparkling clean, the fish lively, and I only saw one (among tens of thousands) that was belly up.